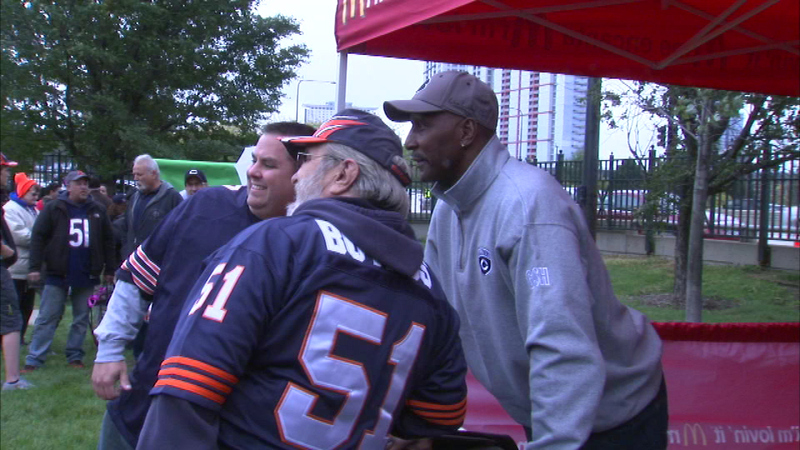 Former Bears great Otis Wilson takes photos with fans before Sunday's game at Soldier Field. CHICAGO (WLS) -- Fans lined up to meet former Chicago Bear Otis Wilson Sunday morning at Soldier Field. Wilson teamed up with "McDonald's Owners of Chicagoland and Northwest Indiana" for the meet-and-greet opportunity. Fans got autographs and selfies, and were served breakfast prior to attending Sunday's game against the Oakland Raiders. The Bears won, 22-20.